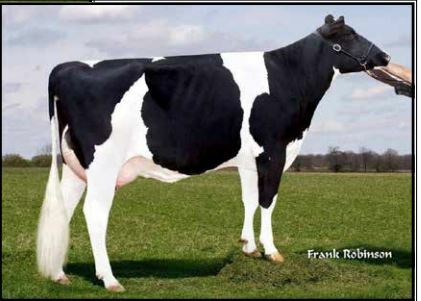 Exciting and very balanced Brennan daughter backed by a deep pedigree that has put several bulls in stud! 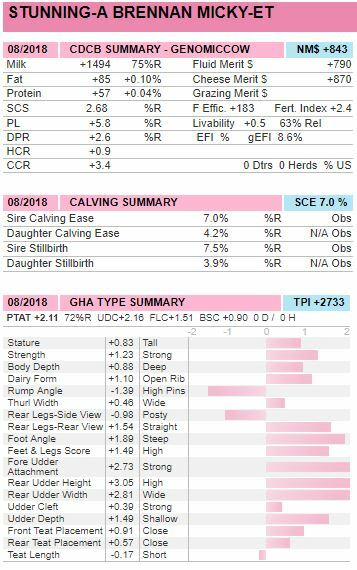 +2733 GTPI combined with good production (+1494 PTA Milk, +57 Protein), health traits (SCS 2.68, DPR+2.6) and type (PTA Type +2.11, UDC +2.16 and FLC +1.51) and a very interesting sire stack: Brennan x Jett x Robust x Bronco x Shottle x Finley! 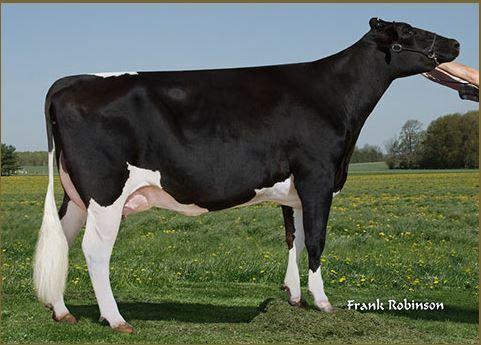 +2733G Brennan x Jett x Robust backed by a deep pedigree! 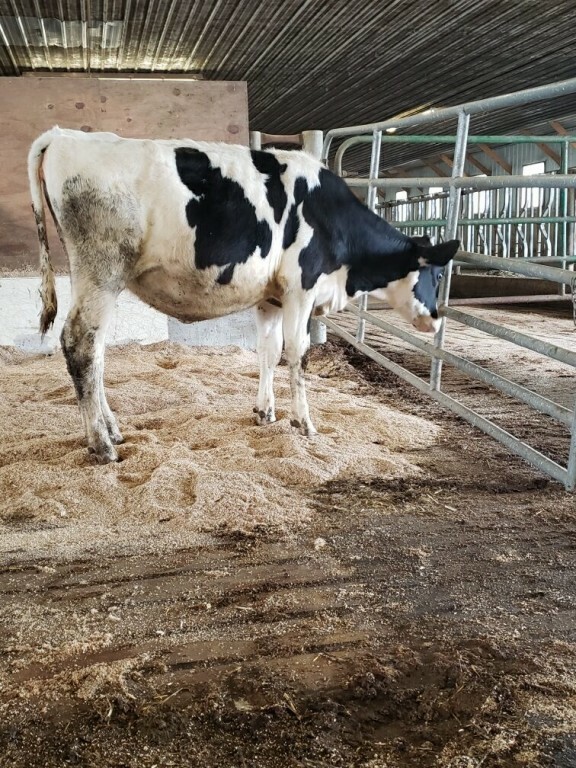 Nearly +1500 PTA Milk & +60 Protein combined with good health traits on over 1.5 UDC and FLC!